Allow 1 or more leave policies to be created for each type of leave. Allow supervisor/admin/accounting role access to view employee leave balance info. 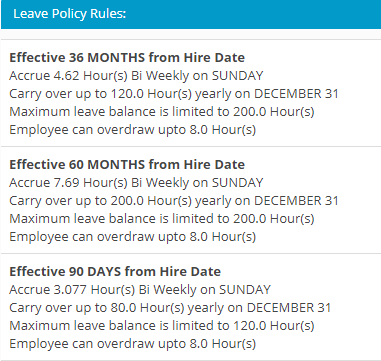 System uses hire date and accrual periods to calculate leave. Leave types are associated to system Pay Types. Leave time can be accrued in the following increments. The following data is displayed to the user on the employee timesheet. Role-based access to employee leave balances. Individual employee leave data fields such as Beginning balance, accrued to date, used and lost may be manually adjusted by user. Hire Date is a required field for this feature. To enter a hire date for each employee, use the Edit feature under the Employee/Employee List/More page. User ID – is a required field for this feature. To enter a User ID for each employee, use the Edit feature under the Employee/Employee List/More page. Note: for QuickBooks users, The user ID field is not required when setting up employees in your QuickBooks file. 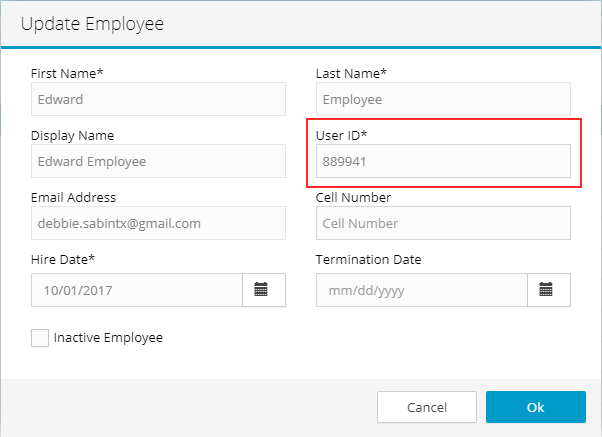 User Ids are also known as Employee Numbers. If your organization does not have established employee numbers system for your workforce, then any set of numbers will work in Hour Timesheet. For data security reasons, using an employee’s social security number is not advised. Leave types are created within the Hour Timesheet software. For customers using the pay type data field, leave types are associated with pay types. Employees charging to leave will select the Add Leave Hours section of the timesheet to add leave hours to a timesheet. Each leave type may only be associated to 1 pay type. There is no limit to the number of leave types. Leave policies are created to define the rules and limitations for earning each type of leave defined in #1 above. Release 3.0 covers accrual types of leave only. Earned leave will be introduced is Release 3.1. Carry Over Frequency – if leave balance carries over from one period to another, the user will be able to define the date on which the carryover occurs. Upon completion of steps 1 and 2 above (creating leave types and leave policies), leave may now be assigned to the employees. Employees will not start accruing leave created in step 2 above until leave has been assigned. Employee leave balances may be manually adjusted if required. Leave may be viewed by users with the Supervisor, Accounting or Admin role. Leave may be adjusted by users with the Accounting or Admin role. 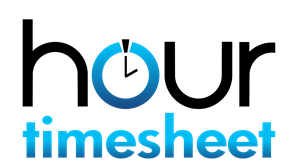 Login to Hour Timesheet as Admin or Accountant role. Repeat steps 1-8 above for each leave policy. In the example below, 3 leave rules have been created for a single leave policy. Select a Leave Type from Leave Types selection box.